Fashion trends. Now that's a notion that I find quite hard to comprehend. At the start of every season, fashion magazines, editors and bloggers alike will all be eager to educate on the trends to follow for the next 6 months. On the other hand, if you don't embrace their recommendations straight away and take a step back to go through the fashion shows of the year before (because of course fashion only comes to us, common mortals, six months after they have been presented to a handful of fashion delirious happy few during the fashion week) then you may feel a bit confused. At least, that's generally how I feel. Confused because taken together, fashion shows are just totally shambolic. There are no trends. But a maelstrom of fashion whims from all the fashion gurus: 60s, 70s 80s, 90s, 00s etc revival, navy, red, leather, military, minimalist, maximalist, mormonic or lingerie... Anything can be found on those catwalks. I once read somewhere 'the 35 trends of the season', now that's clearly narrowing things down, right? Trends are just a post-rationalisation attempt to bring some order into this chaos and they lie in the eyes of the powerful beholder. Think Vogue, Elle, Anna Wintour, Olivia Palermo, Gigi H and co. Now surely and sadly I have already been subliminally influenced by their fashion hypnosis and nothing here will likely feel out of touch with what you will be reading in magazines. But at least the trends I am presenting below are the ones I am actually going to wear. This week I am focusing on the pink, the metallic, and the yellow x checks combo. Stay tuned next week as there will be more 'trends' to follow. Amen to that. I am such a massive pink groupie. It probably reminds of my younger days of being pampered and wrapped up in layette. But wherever this is coming from, I cannot wait to wear blush tones in all shapes and forms. One starker option I am considering is the red x fuchsia association which has already massively hit Zara. 1. Saint Laurent Classic Medium Monogram College Bag in antique rose, £1,450 - 'Antique rose', who could ever resist such a colour...? Many of us probably because who can actually afford 'antique rose'? 3. Stradivarius Sneakers with Pompom, £29.99 - I may be obsessed with designer stilettos but I actually live in trainers, and at this price, these are already mine! 5. 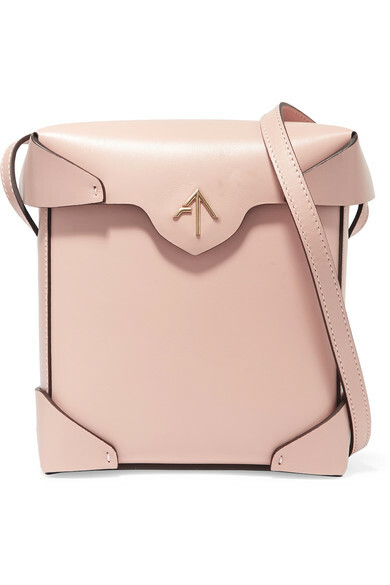 Manu Atelier Mini Pristine Leather Cross-body Bag, £330 - Interested in owning a proper designer handbag but really not intending to spend your kids' school fees on it, well there you go! 7. Claudie Pierlot Clemence Blouson, £475 - I bought a red leather biker jacket last year (from Maje) and it has been one of my best buys. Very happy to see I am allowed to wear it with powder pink this Summer! 8. 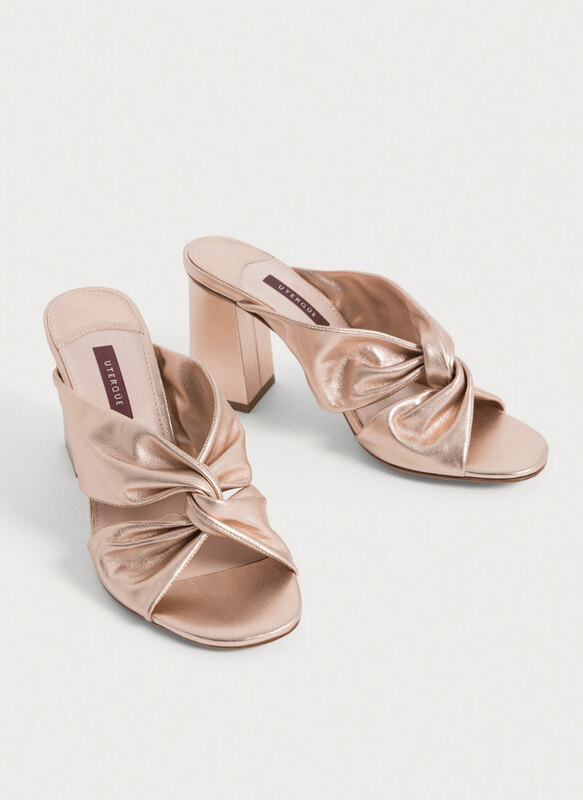 Uterqüe Metallic Mules, £95 - Very Gucci like, only without the price tag. I had previously featured these in last week's post but I thought these deserved to be added to the pink wishlist too! Who does not love a sparkle, especially on those longing Summer days when you skin tone has gracefully change from olive green to a healthy tan...? Seriously, the metallic trend is obviously harder to pull off but in touches manageable for the plus (plus) 30 year olds like myself. 3. Saint Laurent Monogramme Blogger Shoulder Bag, £730 - How could I not feature a 'blogger' bag...? 4. Topshop Moto Aqua Metallic Mini Skirt, £34 - Am probably too old for this s#*@ but I honestly don't care, love it! 5. 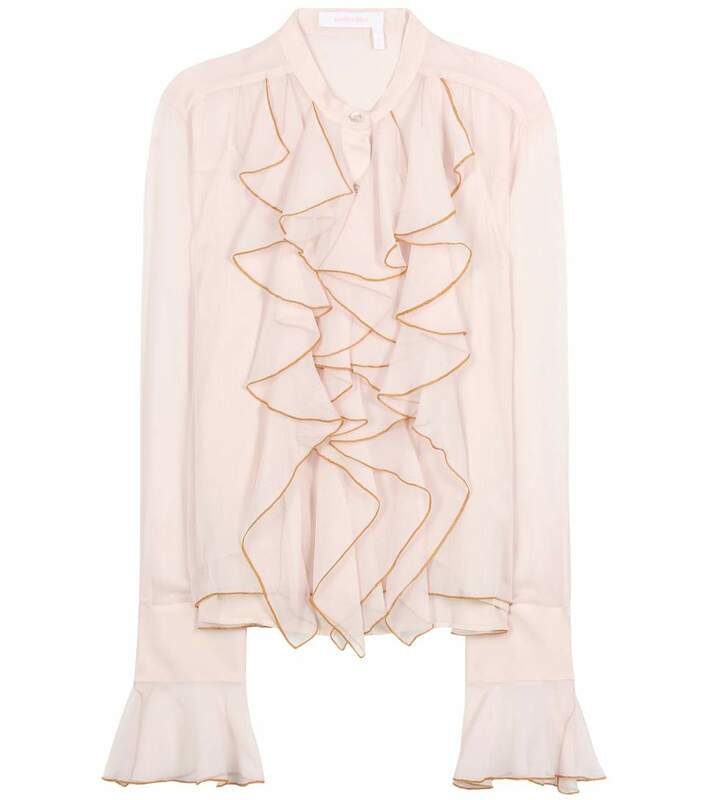 Maje Frilled Fine Knit Camisole, £125 - Ah, to feel like a 17 year old cheerleader... There's no price for that! 6. Maje Leather Trainers with Embroidery, £239 - Definitely too expensive for trainers but they would go so well with that skirt, right? 2. Claudie Pierlot Pull Travel, £135 - Soon to be mine, that's a promise I am likely to keep! 3. Zara Fine Check Bermuda Shorts, £25.99 - These look v much designer like. Will likely give those a try. Need to satisfy my shorts obsession!